According to the BBC, the current graphics card shortage driven by cryptocurrency miners isn’t just hurting gamers, it’s also impeding our efforts to find evidence of a better civilization out there—one that is free of overzealous cryptocurrency miners. SETI researchers say they’re trying to grow their search for signs of extraterrestrial civilizations, but the crypto-miners are hogging that key component. The shortage of GPUs is largely thanks to the cryptocurrency craze, as mining for cryptocoins requires enormous amounts of computing power. Scouring the universe for signs of alien life—especially when we have no idea how our cosmic neighbors would want to chat—also requires a lot of computing power. “At SETI we want to look at as many frequency channels as we possibly can because we don’t know what frequency ET will be broadcasting on and we want to look for lots of different signal types—is it AM or FM, what communication are they using?” said Werthimer. The organization is attempting to grow its operation at its observatories in West Virginia and Australia. 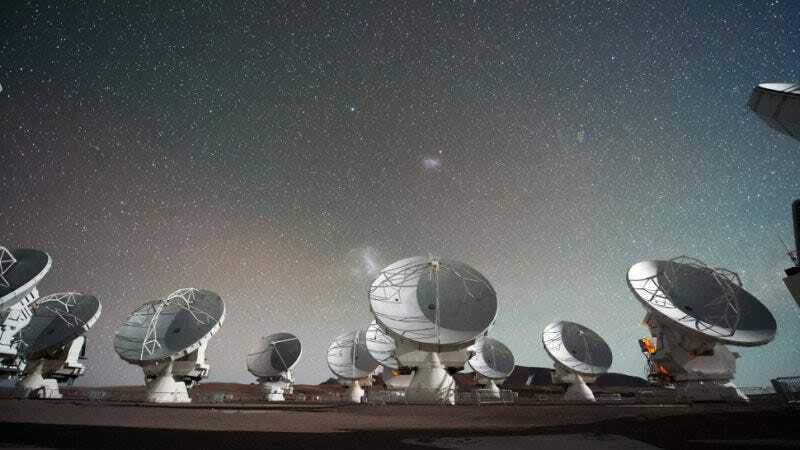 But some of the SETI telescopes require about 100 GPUs to pick up frequencies from the cosmos, and it’s becoming increasingly difficult to get ahold of that many GPUs. Another radio-astronomy operation, the Hydrogen Epoch of Reionisation Array (HERA), is also seeing the effects of the shortage. Aaron Parsons, a professor at the University of California at Berkeley who runs HERA told the BBC that the project recently received a grant from the National Science Foundation to expand its research into how galaxies and stars originally formed. But in order to connect all the data from HERA’s multiple telescopes, the operation needs a lot of GPUs. Three months ago, a set of GPUs would have cost HERA $500, but now the price is $1,000. In total, the purchase will cost the project about $32,000 more than it had originally budgeted. A contingency budget is helping for now, but if the supply gets more scarce, the operation might not be able to continue its research, according to Parsons. Of course, astronomers aren’t the only people affected by this shortage. Gamers are also struggling to find and afford GPUs to build their gaming rigs. NVIDIA, the leading graphics card maker, recently limited online sales in response to the demand. Let’s hope we make contact before the crypto miners ruin everything. Where In Our Galaxy Are All The Aliens?